This week I was in Canada on business, which meant I could finally get my hands on some Graham Crackers, the go-to biscuit cookie cracker I guess, for all North American cheesecakes and associated no-bake pies. 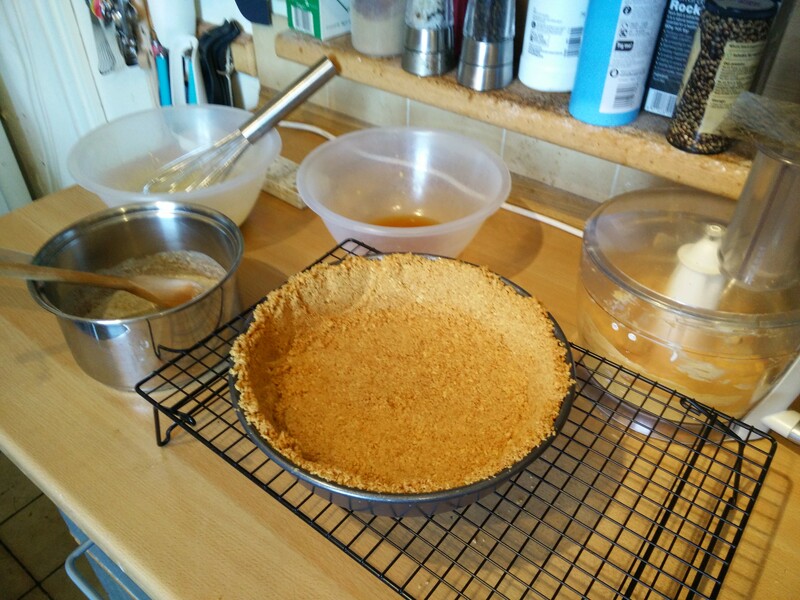 We always substitute the digestive biscuit when we see Graham Crackers in recipes, so it’ll be interesting to finally be able to compare them. 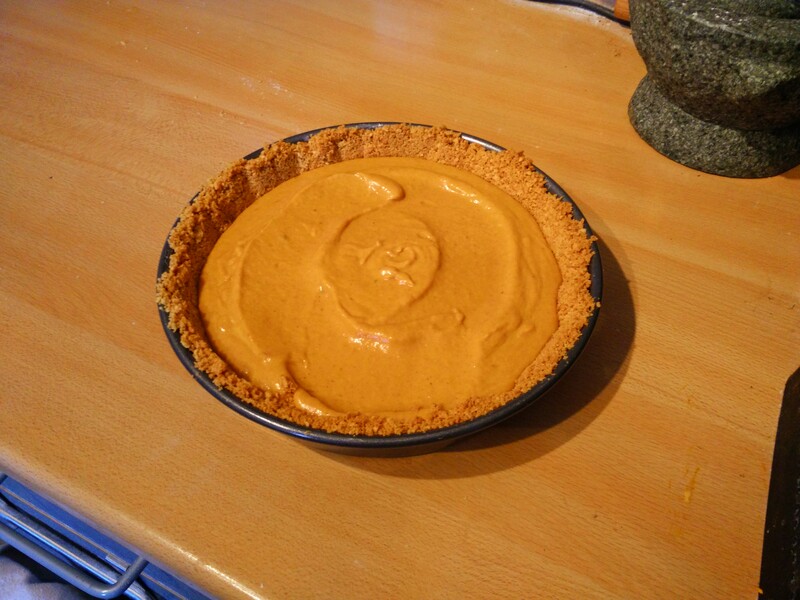 As it’s Halloween it is, of course, pumpkin pie we’re doing, from Cook’s Illustrated’s no-bake recipe. 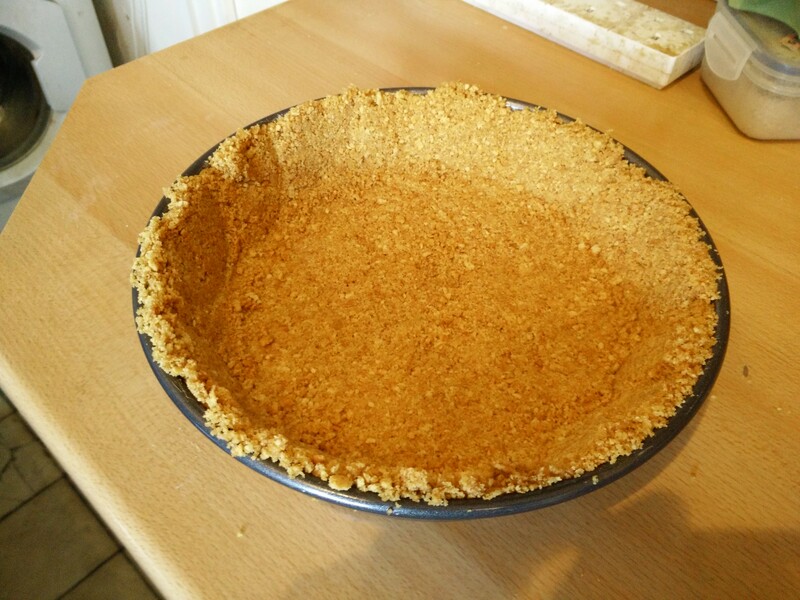 So it starts with baking the Graham crumb base. While it bakes I got the filling prepared. 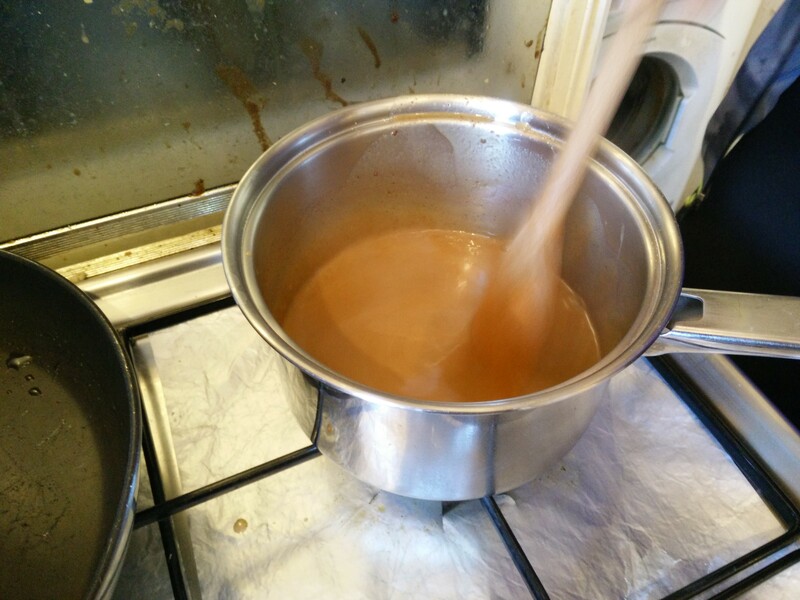 With Soph’s help I made the custard. We ended up waiting overnight. Look at that! The gelatin set it up nicely, the crust held together! However… the textures are odd. 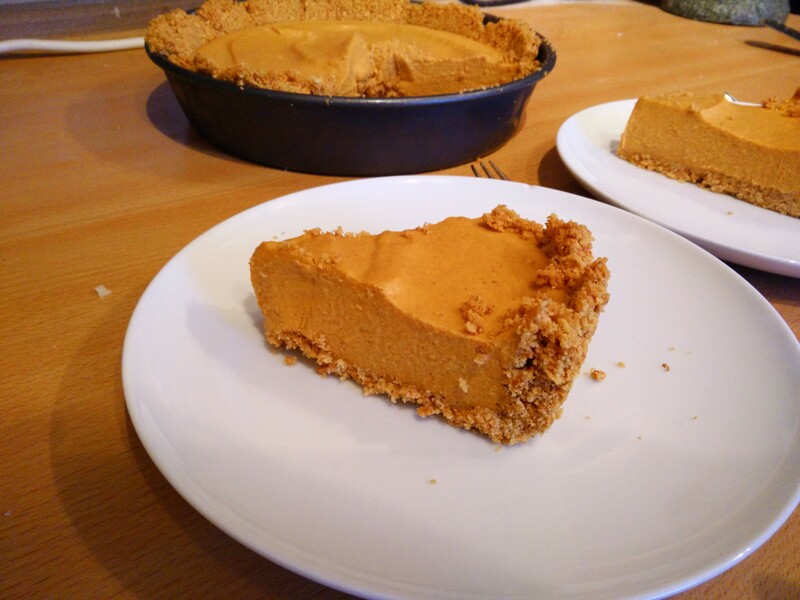 Frankly: I’d prefer a baked shortcrust pastry pie… or even digestives rather than Graham crackers! So what am I going to do with the other three packs of Graham crackers!? Still have to pay £4 a can for pumpkin puree fro Amazon!